Cat drinking fountain glazed in Bluegrass. 100% food safe glaze. 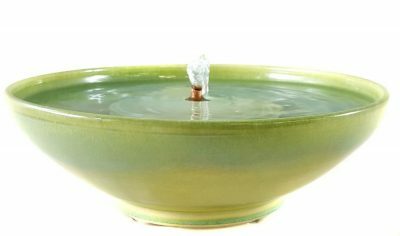 An up-flow cat fountain glazed in a new glaze we call Bluegrass showing a pastel-like blend of greens, yellows and cyan. 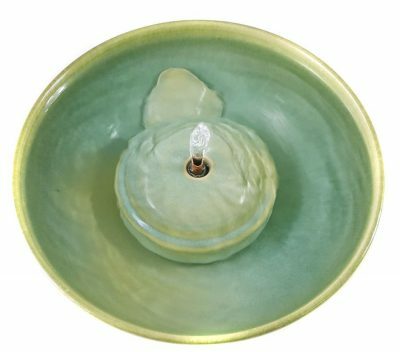 The fountain comes with everything you need but to create a stream, add an antimicrobial Cat Tap which you can swap in and out with the included straight antimicrobial spout. All the fountains runs wonderfully with or without the spout. 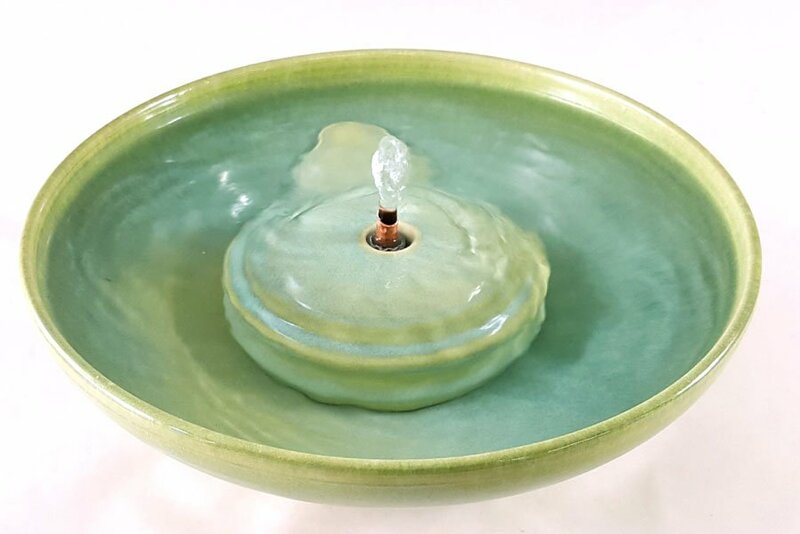 * 3 .5 inches high and 10.25 inches in diameter.